New College, one of the University of Oxford’s oldest and best-known colleges, is undergoing an ambitious expansion programme led by conservation architects Caroe who commissioned design consultants Luke Hughes to propose and produce furniture solutions. 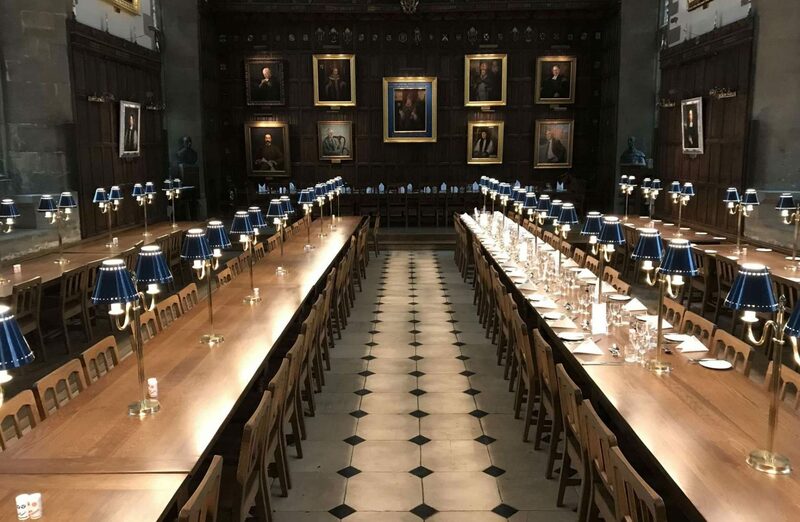 As part of this project, the college’s dining room required new lighting that was architecturally appropriate and manufactured to the highest standards. Luke Hughes chose Dernier & Hamlyn for this demanding task. The two companies worked closely together to produce 44 custom polished brass table lamps that would provide both an additional aesthetic to the room and practical lighting.